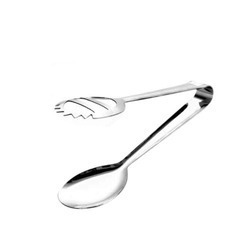 Easy to grab, these Salad Tongs are extreme light in weight and crack proof in nature. These products are best in quality and can be obtained from market in damage free mode. Besides this, these products are wider in size and easy to use. Additionally, these products have longer life working. We hold expertise in providing a wide series of Salad Tong. Our presented series is made employing the top quality material and advanced technology. In additions, our offered series is inspected on predefined quality norms, in order to meet worldwide industry parameters. 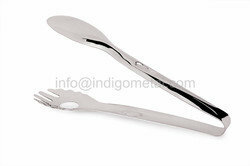 Buy Progressive Magnetic Salad Tongs by Progressive at houseproud.in. Browse and shop from a wide range of luxury, designer and vintage Salad Bowls & Servers.